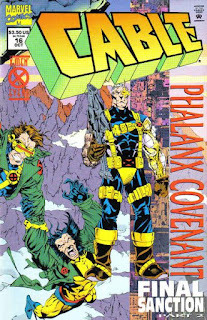 As Cable, Cyclops, Phoenix & Wolverine approach the Phalanx citadel in the Himalayas, Stephen Lang, now fearing the Phalanx are out of his control & a threat to all humanity, enlists the captive Psylocke's aid in helping the X-Men oppose them. 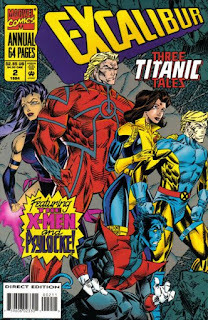 After the X-Men crash their jet into the citadel to create a distraction, they scale a nearby mountain without using their powers, in order to sneak into the citadel undetected. 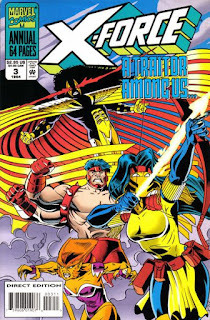 Once inside, Cable, Cyclops & Phoenix launch a frontal assault as Wolverine seeks out the captive X-Men. He manages to penetrate the containment unit holding Bishop, which allows him to absorb the Phalanx' energy. 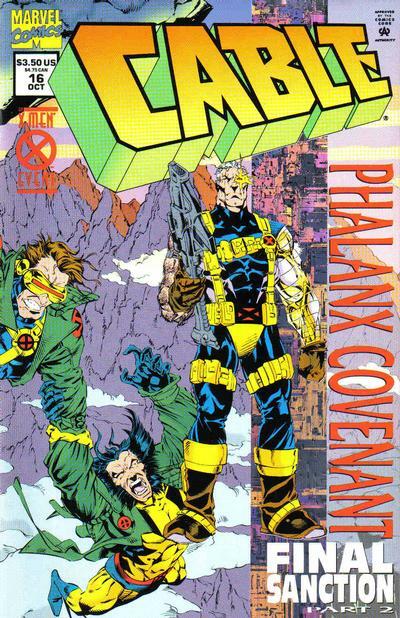 Elsewhere, the Phalanx are on the verge of overwhelming Cable, Cyclops & Phoenix when Wolverine and the freed X-Men arrive. With the tide turning, Hodge draws on all the Phalanx energy resources around the world, effectively killing them all, in order to mount a defense. Lang, having expected this, then releases his hold on the citadel, sending it plunging down the mountain, destroying the remaining Phalanx. 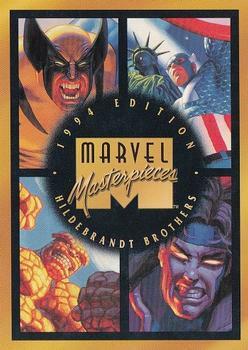 The X-Men manage to escape, but Hodge drags Lang down with him. Elsewhere, in a nearby galaxy, a techno-organic figure senses the loss of the Phalanx on Earth, and decides its time to take a more active role in the mission against the planet. "In Deep" / "Siryn Song"
Moonstar and the Mutant Liberation Front team-up with the Chinese 3-Peace. As Dani Moonstar leads the MLF in a training session, she contemplates the recent events in her life that have led her to the group. Meanwhile, in China, 3-Peace, consisting of mutants Jade Dragon, Collective Man, & Nuwa, are arrested by China Force. However, Reignfire comes to their aid, offering to help their cause if they join up with the MLF. The MLF help 3-Peace break into a government facility to get some information, during which Reignfire kills one of China Force. Later, the MLF & 3-Peace infiltrate a complex holding captive mutants, but China Force is waiting: Reignfire cut a deal with the Chinese government, double-crossing 3-Peace. However, Nuwa is able to use her power to help 3-Peace escape, and when they encounter a waiting Moonstar, she lets them go. Back at MLF headquarters, Reignfire tells her that the Chinese government doesn't suspect her of allowing 3-Peace to escape, but Dani knows that Reignfire does. "Heart & Soul" / "A Moment of Silence"
Shinobi Shaw tries to recruit Storm to his new Inner Circle. Storm receives an invitation to dinner at the Hellfire Club, sent by Shinobi Shaw, along with a bouquet of roses, one of which pricks her finger. 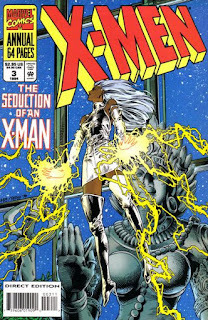 Storm accepts the invitation, but acts unusually cool towards her teammates on her way out. At dinner, Shaw presents himself as having changed, possessing a desire to make the world better, with her help. Storm is intrigued, but doesn't immediately accept his offer of an alliance. She returns home, and that night, has nightmares in which her powers are stripped away and given to someone who will use them to more directly to improve the world. Returning to the Hellfire Club, Storm finds Shaw amongst his new Inner Circle, and he reveals he drugged her in order to bring her dark side to the surface. She then rejects him outright, triggering a conflict with the Inner Circle. 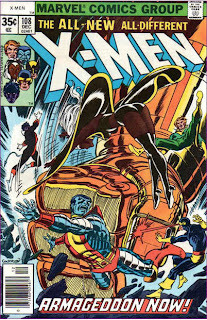 Just then, the X-Men arrive, having been alerted to Storm's trouble by Professor X. They defeat the Inner Circle, and Storm refuses to kill Shaw, an act which, when she returns home, Xavier cites as proof that Shaw wasn't able to corrupt her morals. 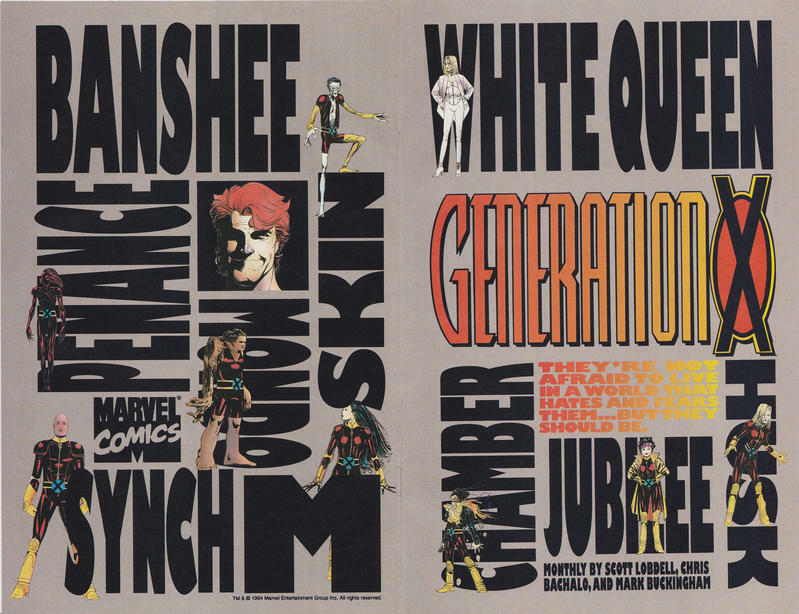 After what seems like months and months of build up, this month finally sees the release of Generation X #1, the eighth(!) monthly X-book! 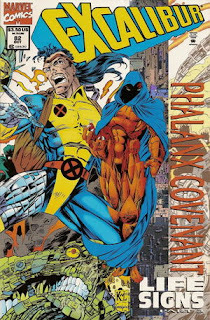 Meanwhile, fresh off "Phalanx Covenant", X-Factor begins the lead-up to "Age of Apocalypse", all the books get the Deluxe treatment, and we look at the third series of Marvel Masterpieces cards. 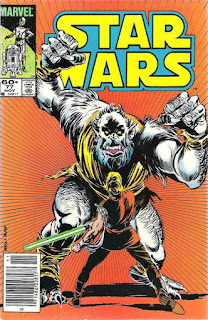 The Star Warriors escape from Jabba the Hutt, and Luke learns he must face his father again. As Jabba's guards prepare to push Luke into the Sarlaac pit, Luke issues Jabba one final warning to free him and his friends, or die. Then Artoo launches Luke's lightsaber, hidden inside Artoo, and Luke attacks the guards, alongside the previously-disguised Lando. Aboard the sail barge, Leia takes advantage of the confusion to strangle Jabba to death. As the sail barge blasts the skiff hovering over the pit, Lando is knocked overboard, and as Han & Chewie try to rescue him, they inadvertently trigger Boba Fett's jetpack, sending him flying into the Sarlaac's maw. Luke leaps over to the sail barge as Han retrieves Lando and Artoo frees Leia before herding Threepio off the barge. Together, Luke & Leia turn the barge's gun on the ship, destroying it, and they fly away aboard the other skiff with their friends. 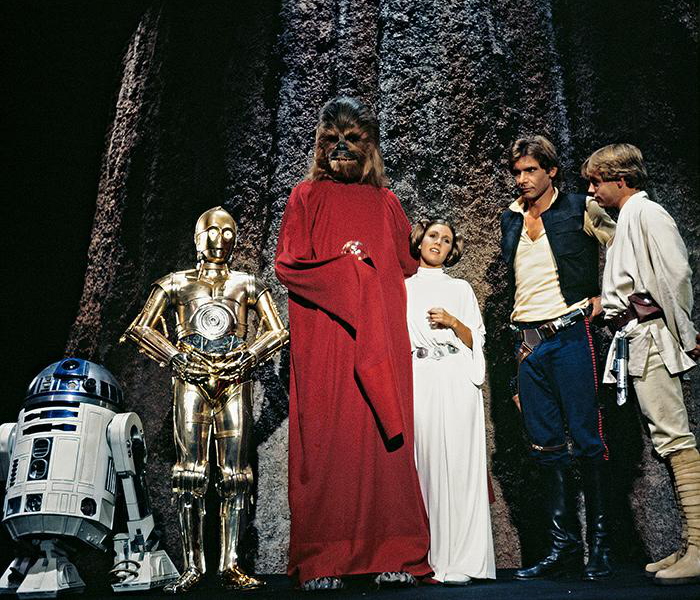 As the group departs Tatooine, Luke promises to rendezvous with the Rebel fleet, but first goes to Dagobah. 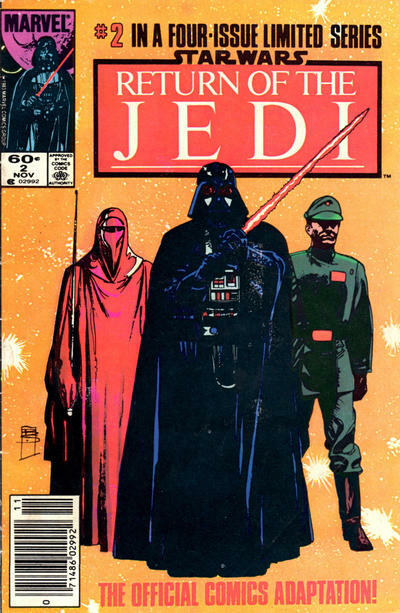 Meanwhile, the Emperor arrives on the Death Star, and assures Darth Vader everything is going as he has forseen. 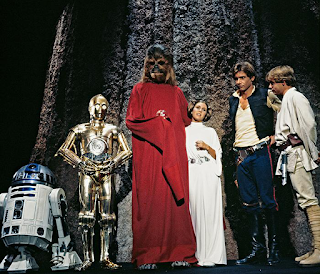 On Dagobah, Yoda confirms that Darth Vader is Luke's father, and the spirit of Obi-Wan reveals that Leia is his sister, before insisting to Luke that he must confront his father again. 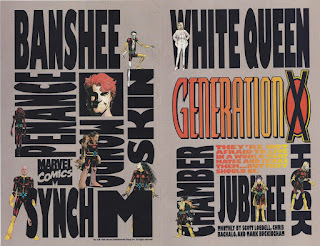 A trio of promotional books hyping Generation X.
Banshee ruminates on his new charges and co-headmaster as he takes up the reins of Xavier's School for Gifted Youngsters. After a game of volleyball, Jubilee writes Wolverine a letter sharing her thoughts about her new classmates. 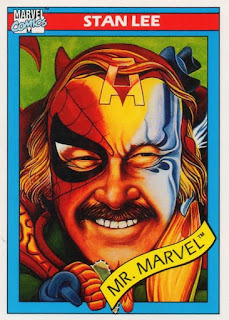 The question of the extent of Stan Lee's involvement in the creation of the plethora of characters he's frequently credited with creating (especially in more mainstream sources who aren't as intimately familiar with the longstanding, burning debates of comic book fandom) is both a valid one, and one to which we'll likely never have a definitive answer. Comics are a collaborative medium, and Stan Lee, essentially writing, editing and running Marvel Comics for much of the sixties, adapted a system which further blurred the lines between writer & artist when it comes to who is responsible for what within any given story. Those lines were further muddied by Stan himself (without malice, I genuinely believe), a consummate showman and modern day PT Barnum, who welcomed the media spotlight he received as the "creator" of Marvel Comics, was happy to use that spotlight to further the business interests of the company (and his own personal brand/persona) and wasn't particularly inclined to school audiences in the inner mechanics of comic book creation. "The Light of a Tainted Dawn"
Douglock destrous the Babel Spire, and the Phalanx with it. After revealing the Babel Spire, Shinar orders Douglock to capture Wolfsbane & Cannonball. He does, but Shinar sees through his intentions and the Phalanx capture Douglock as well, and Shinar orders all three to be made part of the spire. Meanwhile, Shinar takes Forge to the Phalanx nursery, where he compels Forge to regulate the power flow to the eggs so they're not disrupted when the spire activates. Elsehere, Douglock manages to break free, but Cannonball insists the three of them are going to destroy the tower together. 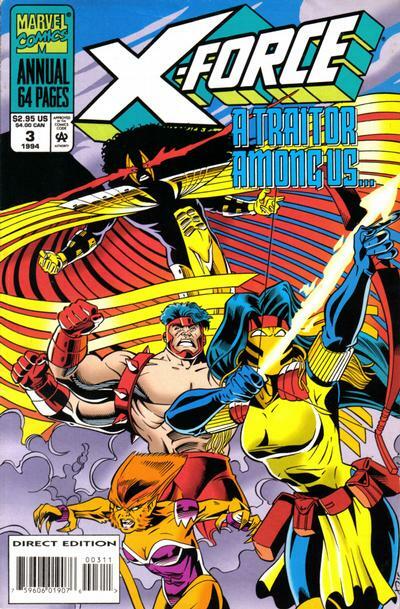 At the same time, the "stealth" contingent of the combined X-Factor, X-Force & Excalibur arrives in the era, but decides to beat the Phalanx by acting illogically and making their presence known. As they battle Shinar & the Phalanx, Douglock determines the spire can be stopped by disrupting the energy flow, and he throws himself into the flow, shutting down the spire. At the nursery, Nightcrawler helps Forge break the hold the Phalanx have on him, and he allows the eggs to be destroyed along with the rest of the Phalanx. 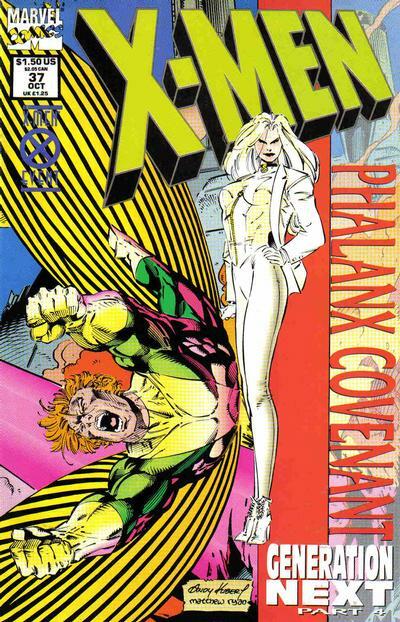 In the aftermath, Douglock reforms, saying that unlike the rest of the Phalanx, he still has something to live for, while Forge ponders the role his humanity played in his efforts to destroy a sentient race. Professor gains a body and a new identity as Prosh. Domino returns after scouting locations for a new X-Force base and is confronted by a strange robot who reveals himself to be Professor, Cable's computer system. He tells Domino to call him Prosh before collapsing from lack of energy. Days later, a recharged Prosh awakens and explains to the gathered X-Force how he overpowered a Phalanx sent to assimilate the team and downloaded his neural network into the Phalanx body, giving himself corporeal form. Though the power levels needed to keep him functioning threaten to overwhelm the base, X-Force agrees to make the necessary sacrifices to keep Prosh alive. However, days later it becomes clear that Prosh's energy signatures are disrupting equipment at the base and, more significantly, preventing Cable from holding his techno-organic virus at bay. Unwilling to risk Cable's life, Prosh declares he will give up his physical form, but Cable suggests an alternative: leave Earth, along with the components necessary to keep himself alive. 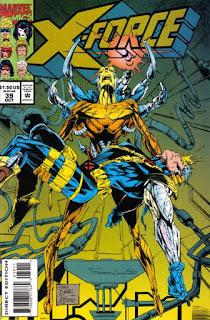 Though this would mean Cable would, for the first time, be without his presence, and will rob X-Force of their base of operations, it's a sacrifice they're all willing to make to enable Prosh to live a full life. Shortly thereafter, Prosh gathers up the equipment he needs and takes control of a large ship, blasting off with himself at the head. Below, all that's left of the Camp Verde base is a desiccated husk, prompting Cannonball to ask a knowing Domino what they're going to do now. "Generation Next" concludes as Blink sacrifices herself to save the rest of the nascent Generation X. On board the Naval destroyer in San Diego Bay, Harvest attacks the escaped young mutants, as Banshee, Emma, Everett & Jubilee sneak aboard. 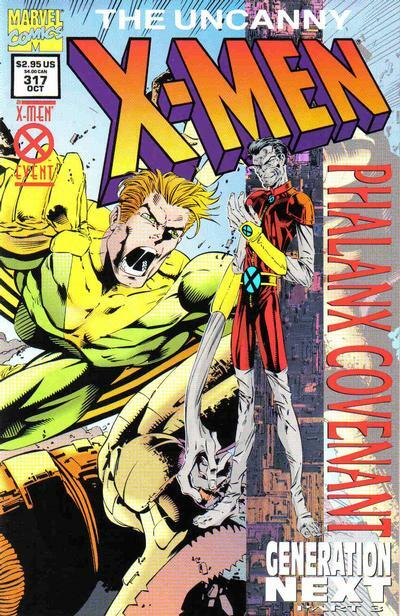 But the young mutants are saved by the timely arrival of Sabretooth, who fights off Harvest before Banshee flies in to finish him off. However, Sabretooth realizes Paige has two scents and slashes her, forcing her to shed her skin - and the techno-organic material with which she had been infected. Just then, Harvest reappears, having reconstituted himself from the material of all other Phalanx aboard the ship. 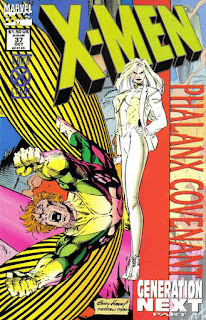 Emma orders everyone to escape the ship while Banshee & Sabretooth hold him off, but Blink realizes Harvest will just keep coming, and once he's killed them, he'll kill all other mutants and, eventually, all of humanity. Using her power to teleport away part of the ship's deck to prevent the others from interfering, she then turns her power on Harvest, creating a spatial disruption he can't counter. But as he disappears, Harvest grabs Blink, pulling her into the disruption & killing her as well. As the surviving mutants climb ashore, they're left to ponder where the sacrifice of one who might have been their friend was too steep a price to pay. Luke & Leia sneak into a diplomatic summit in search of info left behind by Tay Vanis. Returning to the Rebel base on Arbra, Leia, Luke, Lando & Chewbacca are stunned to learn that the Rebellion has intercepted Imperial information on the whereabouts of Tay Vanis that was seemingly intercepted by Han Solo. Rebel command sends Lando & Chewie to follow up that lead, while Luke & Leia, accompanied by the Hoojib Plif, are sent to a diplomatic summit on Kabray station to follow another Vanis lead. Upon arrival, Luke & Leia split up to search the station for information reportedly left there by Vanis. Luke & Plif search the private suites and discover a data card left behind by Vanis, as well as a plot to kill an Imperial Governor visiting the station, while Leia searches the kitchens and is mistaken for Shirley, the Chanteuse of the Stars meant to perform for the Governor. As Leia begins the performance, Luke attempts to intercept a bowl of poisoned soup, but is waylaid by a group of Zeltrons until one of the Lahsbee delegates transforms into a monstrous Huhk. 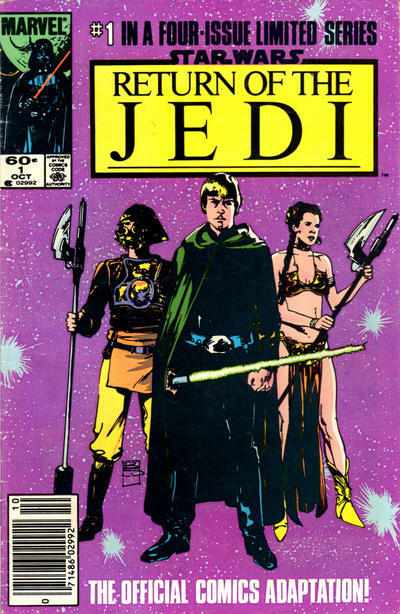 In the commotion, Luke knocks away the soup and Plif advises Leia to keep singing, as it seems to calm the Huhk. 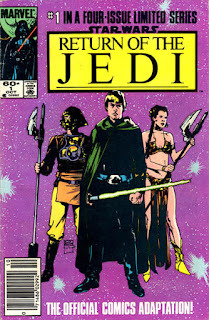 The crisis averted, Luke is left hoping Leia knows a lot of verses to the song she's singing. The untold tale of Albert & Elsie-Dee's adventure in the past is told. 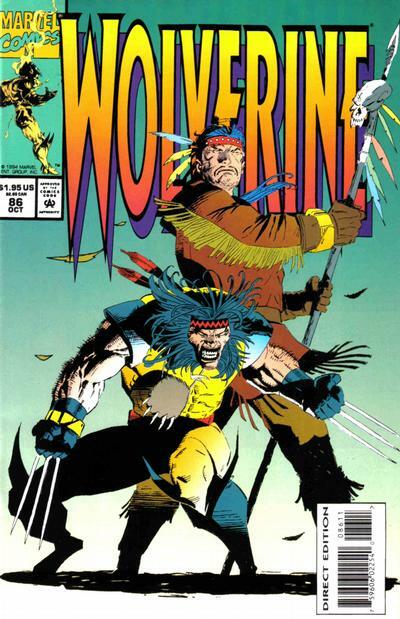 After tracking Wolverine to Muir Island only to find the place destroyed and Wolverine shielded from Albert's sensors, Elsie-Dee proceeds to tell Bloodscream about her and Albert's adventure in the past with the Siksika tribe, where they met an elderly Forge who explained how he and Wolverine traveled back to this time from a point in Albert & Elsie-Dee's future, in pursuit of the Adversary, who has possessed a Siksika shaman. 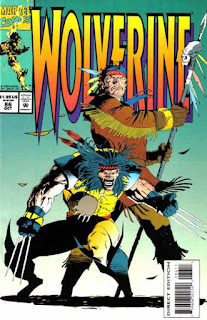 As Wolverine & Forge fight the shaman, Albert runs the Siksika gauntlet, becoming their war chief, but Wolverine & Forge end up getting displaced in time. In the present, Albert is suddenly able to detect Wolverine, and the trio rush off to find him, while in the future, Wolverine emerges from the timestream and meets up with Forge, Albert & Elsie-Dee's head. Forge explains that because Albert & Elsie-Dee traveled into the past to discover the origin of the adamantium skeleton they found, they caused Wolverine to be sent to the future, hence preventing the skeleton from being left in the past. Together, the four continue their fight for freedom. Strong Guy battles the Blob. At the airport to catch a flight to see Lila Cheney, Strong Guy sees Blob trying to hijack a plane and intercedes, triggering a fight between the two. In the process, Strong Guy ends up absorbing large amounts of kinetic energy. 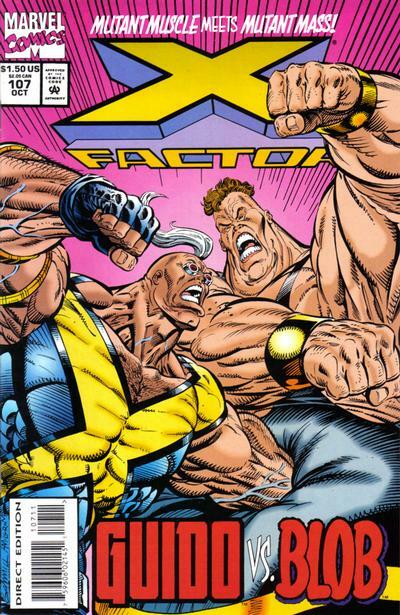 Meanwhile, the rest of X-Factor is training in the Danger Room when they hear news reports of Strong Guy's fight. Back at the airport, Strong Guy unleashes the excess kinetic energy on Blob, culminating in a fuel truck explosion that knocks out Blob. 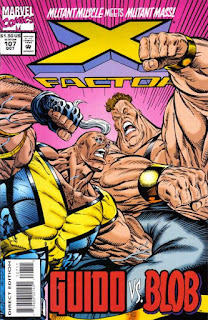 As X-Factor arrives on the scene, the press swarm the triumphant Strong Guy, who collapses from exhaustion before answering any questions. Bannshe & Emma work to locate the captive young mutants, while Monet facilitates their escape. Paige Guthrie awakens to find herself being held captive along with four other young mutants: Angelo, Clarice, Gregor, and the mute Monet. Paige tries to lift their spirits, declaring that the X-Men will find them, but is stunned to discover she's seemingly been infected with the techno-organic virus. Elsewhere, Banshee, Emma Frost, Jubilee & Everett Thomas arrive at Frost's west coast home, Emma having telepathically tracked Paige to California. She suggests their best chance of locating the captive mutants is via a nearby SHIELD safe house. Elsewhere, the young mutants are checked on by their Phalanx jailer, Harvest, who Clarice is able to drive away using her power. As Banshee & Emma inflitrate the SHIELD base, Monet suddenly speaks. Using components cannibalized from the techno-organic suits they're all wearing, she blasts Gregor, revealing him to be a Phalanx plant. She then proceeds to punch an opening in their cell, leading them onto the deck of a battleship in the middle of the ocean. But just then, Paige collapses, overwhelmed by the techno-organic infection. "In the Hands of Jabba the Hutt"
Darth Vader arrives aboard the second Death Star, telling Moff Jerjerrod that soon the Emperor will be arriving to ensure the station is completed on schedule. Meanwhile, on Tatooine, Artoo & Threepio arrive at Jabba's palace. Brought before the gangster, they play a message from Luke, who gives the droids to Jabba as a gift. Later, a bounty hunter delivers a captive Chewbacca to Jabba. That evening, the hunter frees Han Solo from carbonite, removing her to reveal herself as Leia. But Jabba captures them before they can escape, and Han is thrown in the dungeon with Chewbaca. Later, Luke enters the palace and tells Jabba to free his friends, or die. Jabba responds by dropping Luke into the rancor pit, where he's forced to fight the massive rancor. 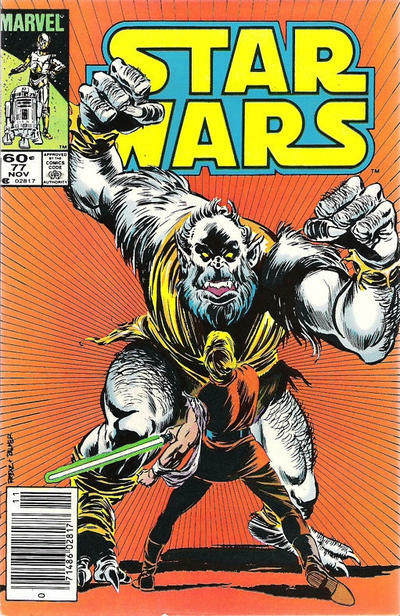 Luke manages to slay the creature, after which Jabba declares that Luke, Han & Chewbacca will be executed by being thrown into the Great Pit of Carkoon, where they will be digest by the Sarlaac. Jabba and his entourage fly out into the desert aboard his sail barge, the captives are taken to the pit aboard a smaller craft. Luke tells Han not to worry, he's taken care of everything, as below them, the Sarlaac stirs. Cable & Domino go on a date. Months ago, Thornn tries to save a young Morlock named Sarah as Mikhail Rasputing floods the tunnels to kill the Morlocks, but is swept out into the river. Later, Cable & Domino go on a date, teleporting in to Central Park. They are interrupted by the arrival of Thornn, who needs their help. She keeps hearing voices in the empty Morlock tunnels, telling her the Morlocks were taken to another place and are too afraid to return, unless the Ceremony of Light is performed. 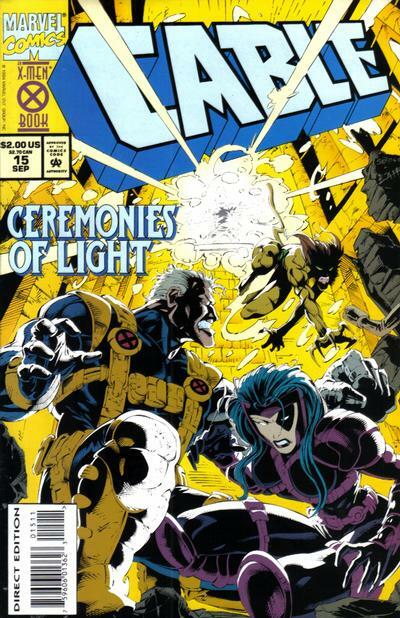 Domino is suspicious, but Cable senses some truth to Thornn's words, and the three proceed to perform the Ceremony of Light, in which light from the surface is reflected into the tunnels for an hour. During the ceremony, Sarah appears, telling Thornn the others are still too scared to come out, but she promises to come back someday. Cable offers to help Thornn, but she insists she belongs in the tunnels, so Cable & Domino depart, with Domino telling Cable the night turned out to be a special one. "The Interpretation of Dreams" / "Black Queen Rising" / "A Change of Worlds"
Britanic & Psylocke try to redeem their brother Jamie, Daytripper & Nightcrawler battle Selene, and Shadowcat reminisces about Doug Ramsey. In the wake an ominous recurring dream involving his brother that Britanic worries may be a glimpse of future events, he and Psylocke attempt to cure Jamie Braddock by telepathically traveling through his memories, in the hopes of finding an explanation for his madness. They are ultimately unsuccessful, leaving Jamie catatonic, but slightly happier for having relived memories of their childhood.